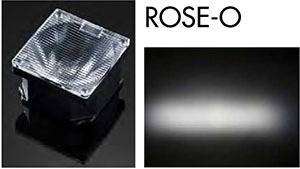 The basic working principle is the same for both TIR lenses and reflectors, but TIR lenses have more control over light. 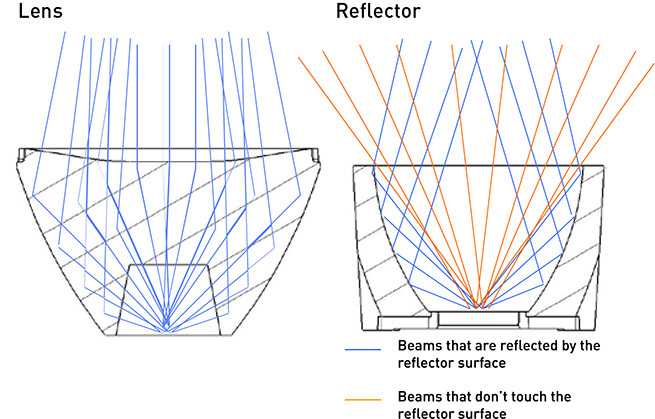 With reflectors a big part of the light doesn’t “touch” the reflector and this light can’t be controlled in any way. This difference can easily be seen with tight spot optics as reflectors usually don’t have as sharp a cutoff as TIR lenses. 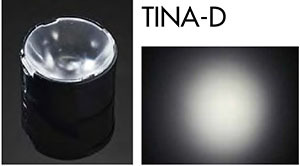 TIR lenses are arranged in different categories depending on optical performance. 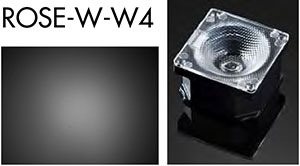 Size of the lens and LED affects the optical performance, so exact FWHM angles etc. can’t be specified. The following lens types can be found in most of our TIR lens families. 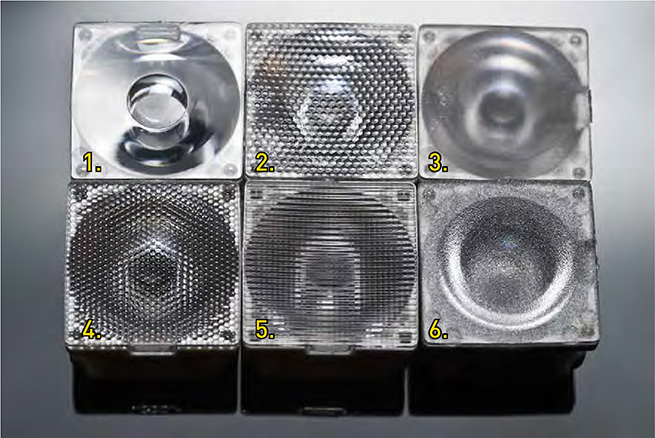 Above, from left to right: 1. Real Spot (-RS), 2. Smooth Spot (-SS), 3. 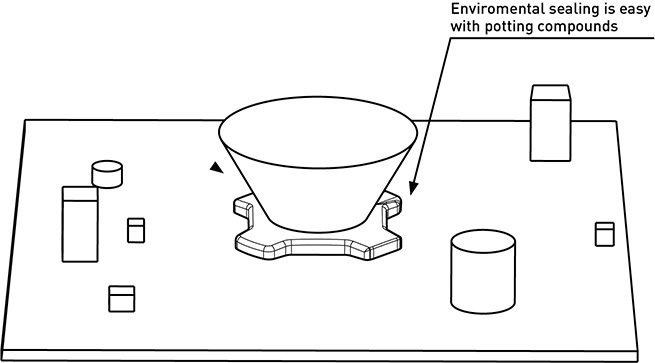 Diffused Spot (-D), 4. Medium (-M/-M2), 5. Oval (-O) and 6. Wide (-W/-WW/-WWW). Real Spot lenses are the tightest spot optics in the lens family. The main purpose for these lenses is to create high cd/lm peak and the design excludes elements that would have color mixing capabilities. This might lead to minor problems in the light distribution. 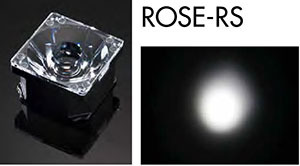 Real Spot lens can be easily identified as it has fully polished surfaces and some lenses are hollow in the middle. 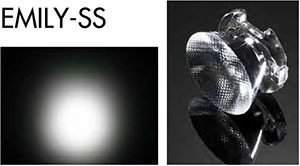 The main difference between Smooth Spot and Real Spot lenses is the polished “pillow” surface on the Smooth Spot lenses. This kind of design gives better quality light distribution, but at the same time reduces the cd/lm peak and widens the beam. 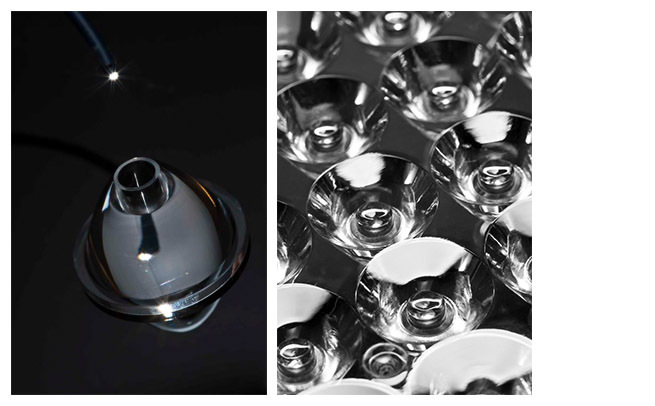 Diffused Spot lenses have the smoothest light distribution pattern from the three spot lens versions. 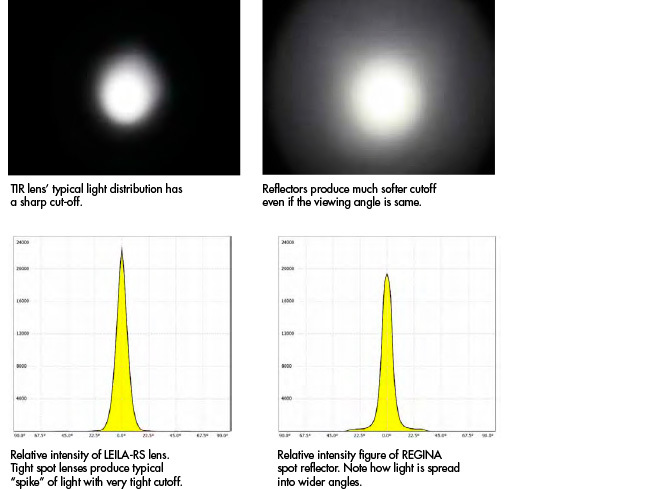 Cd/lm peak is a little lower than Smooth Spot lenses but the FWHM angle is about the same. The top surface has light diffusive treatment that helps with color mixing, but at the same time increases the chance of disability glare. 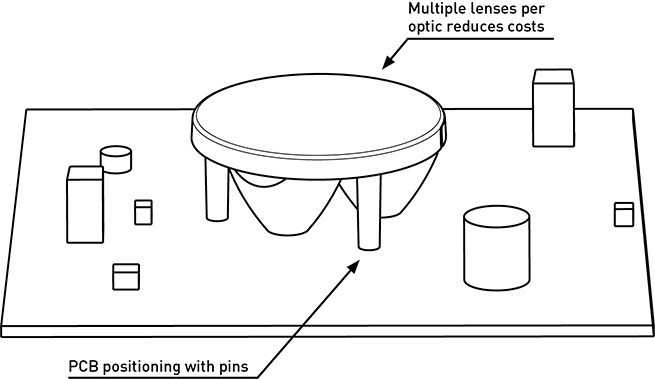 The light distribution of the Medium lenses falls between Spot and Wide lenses. Some lens families have more than one Medium type lenses which are identified with the number 2. 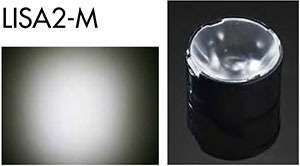 Typical Medium lenses can be identified from small “pillow” surface treatment that resembles fly-eyes, but few have rough diffusive surface treatment. The light distribution pattern on oval lenses is wider on one axis. This is normally achieved with parallel grooves on the top surface. Oval-90 version is rotated 90° from the standard Oval version. 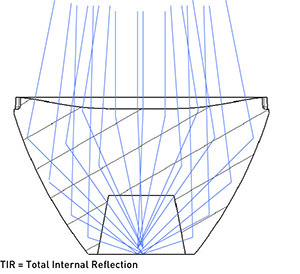 Wide lenses have the widest light distribution in the TIR lens families. The more W letters there are the wider the light distribution is. 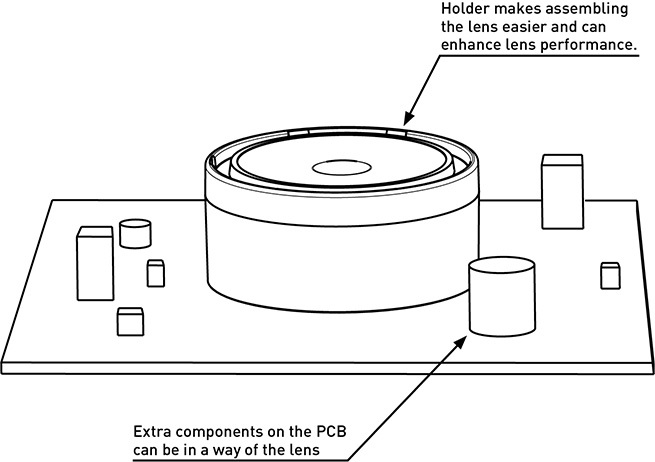 Top surface of the lens normally have rough diffusive treatment, but some lenses might have medium sized “pillow” treatment, warped surface or both.